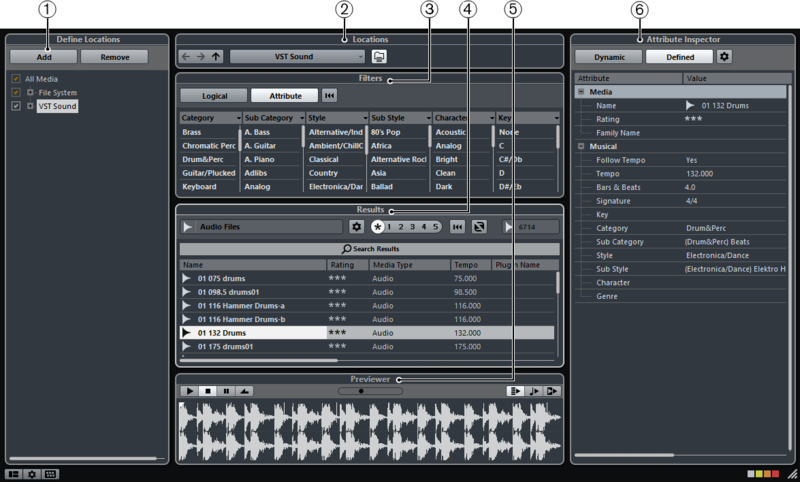 Allows you to create presets for locations on your system that you want to scan for media files. Allows you to switch between the previously defined locations. Allows you to filter the results list using a logical or an attribute filter. Displays all found media files. You can filter the list and perform text searches. Allows you to preview the files shown in the results list. Allows you to view, edit, and add media file attributes or tags.